Daily shuttles to Copper Mountain from Vail, Beaver Creek, Frisco, Keystone and Breckenridge, Colorado. One-way resort transfers for guests staying at different resorts during your stay in Colorado. 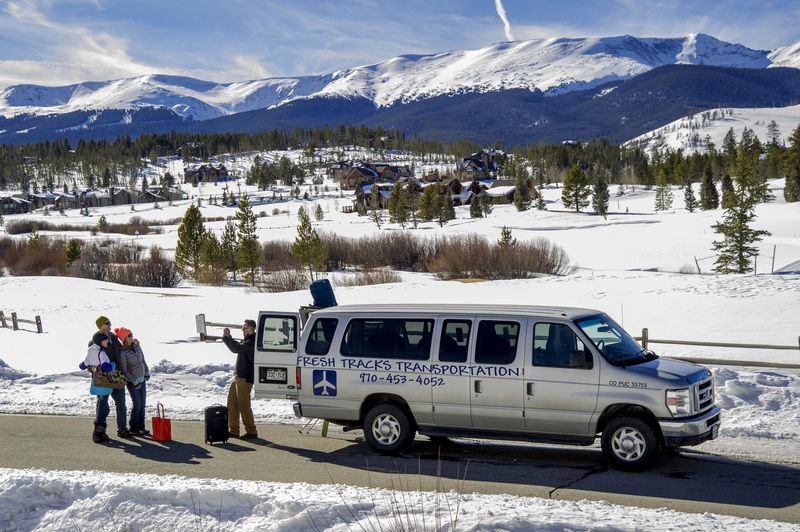 Fresh Tracks Transportation provides daily Copper Mountain Ski Shuttle Service through the entire winter ski season. With our services, transportation to Copper Mountain has never been easier. We offer a daily schedule that is perfect for skier day trips. Our typical Copper Mountain transportation schedule departs in the morning and returns after the slopes close. For people interested in our shuttle service to Copper Mountain that does not fit into our schedule, we can offer additional trips. One of the great advantages of traveling to this area for your ski vacation is there are six world class ski resorts within an hour of one another. Shuttles from Beaver Creek to Copper Mountain only take 35 minutes. Keystone to Copper Mountain Shuttles take 30 minutes. Shuttles from Vail to Copper Mountain take 25 minutes. Breckenridge to Copper Mountain transportation takes 25 minutes. As you can see, no matter where you are in Summit or Eagle County, Copper Mountain is just around the corner. The best part is, your lift ticket is valid at every single resort. With our shared ride service, transportation to Copper Mountain has never been easier or more affordable. Contact us today for your Copper Mountain ski shuttle reservations. Fresh Tracks Transportation offers transportation to Copper Mountain from Vail, Beaver Creek, Keystone & Breckenridge, Colorado. Our daily ski shuttles cater to visitors who want to take advantage of their multi-resort lift ticket. This service is designed for skier day trips at different ski areas and resort transfers for guests changing resorts during their stay. The schedule and rates may vary for guests only traveling one way or with luggage. Please see our rates & schedules below for additional trip information.